1. 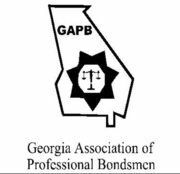 Write down all information that your bondsman in Georgia will need to know. This includes arrested person's full name, date of birth, arrest charges, specific jail holding them, and the amount of bail you need. In some cases we may need other information for the person securing the bail bond. 2. Make sure you can cover your part of the bail amount. Your bondsman will pay the bail amount however; you will need to pay the bondsman a fee equal to 15% of the bail amount, plus a $20 county fee. It can be paid with cash, credit cards, etc. It is important that you have the money or credit card available when you meet with your bondsman. 3. Let us manage the details. Your bondsman will get in touch with the appropriate people at the jail, confirm the bail amount and handle the details. You will be advised of how soon you can pick up the arrested person. 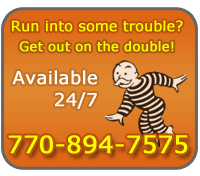 We are available 24-7 to post bond and get the arrested person out of jail as quickly as possible. Call us anytime for help in posting bond to get out of any jail in Georgia. When posting bond you need to understand what it is and avoid problems. Posting bail is not the same as paying a fine. Posting bail is your way of promising the court that you will return to address the arrest charges. Failure to Appear (FTA) in court results in bail bond forfeiture. This means that the court keeps the bail bond money we put up on your behalf. In this case you are responsible for paying the entire amount to us. Additionaly, a judge will issue an arrest warrant for the accused to be arrested on new charges. Make absolutely certain that the person arrested shows up for all court dates!